It’s worthwhile discovering methods to make marking more enjoyable. The same methods can be used to tackle other dreaded tasks. 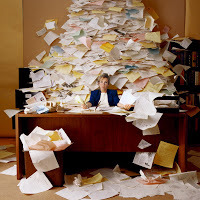 Sitting on your desk is a pile of essays that need to be marked. There might be just 10 or 20, or maybe 50, 100 or more. For most teachers, this is not an eagerly awaited task. Is there some way to make marking easier and more enjoyable? I’ve been marking undergraduate essays for over 25 years and have tried out various methods to make the task less onerous. Gradually I’ve discovered ways that work well for me. You may or may not want to adapt these for your own circumstances. In any case, I encourage you to undertake your own search for better methods. If you’re looking ahead at 25 years of marking, surely it’s worthwhile to explore better ways to go about it. Because marking is generally seen as unpleasant, it is very common to postpone starting. Doing other things, such as reading a book, checking emails, searching the web or even doing housework, suddenly seems more appealing. After all, it really won’t matter much if you start tomorrow. Days and sometimes weeks go by until it becomes urgent to do the marking. Then it becomes a matter of long exhausting hours of mental labour. It seems like a marathon, and only goes to prove that it really was something to be avoided. The habits of procrastination and bingeing are deep-seated. Most teachers learned them when they were students, cramming for exams or doing all-nighters to write essays. 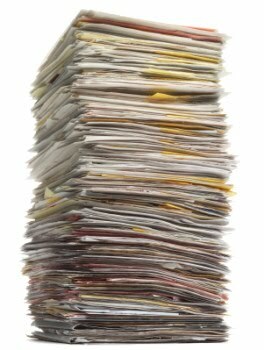 The solution to the syndrome of procrastination and binge marking is simple: tackle just a few essays each day. If I have 80 essays and need to finish marking them in two weeks, I set myself a target of six every day. Six essays seem much less daunting than 80. The hard part is getting started. It’s best to begin marking the very first day or, if some essays come in early, before the due date. Robert Boice researched the habits of highly productive new academics, and found the secret of success was working in moderation. Academics who did a little every day — research, writing, class preparation — were vastly more productive than those who waited for big blocks of time to complete tasks in lengthy sessions. Furthermore, the ones who worked in moderation were less stressed. I can’t tell you how to change habits of procrastination and bingeing; you can learn a lot from various self-help books. All I can say is that it’s one of the most important things you can do to make marking easier. My goal is to approach each essay feeling fresh and positive. Doing only a moderate number of essays per day helps. So does taking breaks. After marking one or two essays, I’ll take a break: a stretch, a snack, some research work, some reading, perhaps the dishes. If I’m doing only an hour’s worth of marking per day, a break may not be needed. For anything longer, breaks are vital. Marking requires mental effort, and the mind behaves like a muscle. Do too much and it gets tired and cries out in pain. Do the right amount and it gets stronger day by day. This is another reason for pacing: marking gradually becomes easier. So often it’s better to start with a few essays on the first day and increase the daily target later. How long does it take to mark an essay? A few teachers I’ve met may spend an hour or more, reading and rereading the essay, writing lengthy comments and agonising over the mark. My goal, though, is to go faster while maintaining quality. Many people read at 200 to 300 words per minute. Yet it is possible to read several times this fast while maintaining comprehension. To do this requires practice, going a little bit faster until it seems natural, and then pushing to go faster still. Going faster is similar to progressive training of the body, with greater speed or strength developing over time. It’s also similar to typists who train so they can achieve amazing speeds with great accuracy. My aim is to be fresh and to maintain concentration so I need to read an essay only once and retain a short-term memory of it, perhaps jotting down a few notes along the way. I then type all my comments. If I feel a need to read the essay again, it usually means I haven’t maintained concentration. Time for a break. Even the most efficient marker can be daunted by the prospect of hundreds of essays. If you have some control over assessments, then there are ways to cut back on the marking load. One option is to simply reduce the number of assignments. Students are often overloaded with work, and could do a better job on fewer assignments, putting more effort into each one. Another option is to mark some student performance during class. I used to have students do short oral presentations. With a simple template, I would scribble feedback on a sheet of paper and give this to the students at the end of the class. One advantage for students was getting feedback promptly, which seldom happens with essays. Yet another option is to have frequent small assignments, but only mark some of them. 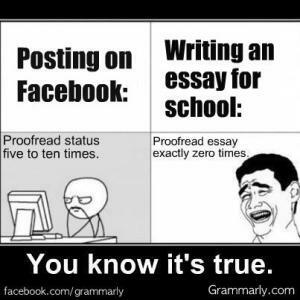 For example, in one class students had to write eight mini-essays, one per week. However, only two these were marked, in weeks chosen randomly after weeks four and eight. Some students complained that they wanted all their submissions marked; I responded by saying that marking just two of them was equivalent to having an exam in which only two of eight possible questions were asked. Another source of essay marking overload is writing too many comments. I discovered that some students were discouraged by too much red ink. Others never bothered to read my comments at all. In one case a student – one of the weakest in the class – glanced at the mark and immediately deposited the essay in the rubbish bin. All the effort I had put into commenting on strengths and weaknesses was for naught. For final assignments, some of my colleagues have a policy of asking students to say in advance whether they want comments. Students who don’t ask just receive a mark. Years ago, I used to correct spelling and grammar as well as give comments on content. But I don’t teach English composition, so why become a proofreader? So I stopped giving detailed feedback on expression, and concentrate on content. My current system is to write brief comments on each assessment criterion, mentioning strengths and ways to improve, and to supplement this with “general comments” that are generic for the whole class. The general comments explain my expectations and elaborate on how essays could be better. I say in my feedback that if my specific comments don’t say anything about a particular aspect of the assignment, then the student should look to the general comments. This approach avoids the need to write the same comments on essay after essay. Monotony is a great source of pain in marking. If there are 50 essays each answering the question “What are the factors behind the rise of social media?” the task quickly becomes tedious. If you are marking essays for someone else’s class and have no control over essay questions, you have my sympathies. Luckily, I’ve usually been able to set my own assignment topics. One of my goals has been to make it interesting for me to mark essays — even the ones that aren’t so good. Thinking up assignments that are stimulating for students to carry out and for me to mark is not easy, but it has been worthwhile. Two ways of doing this are to give students quite a bit of choice in their topics and to invite or require them to use unconventional formats. In an environmental politics class, we covered a series of topics such as sustainable development and the precautionary principle. Each week I asked the students to write a comment on that week’s environmental topic using a randomly chosen political, economic or other theory or framework, such as liberalism, militarism, feminism or Buddhism. Then for the final assignment, students had to write a dialogue between two characters, as in a script for a play, with footnotes as appropriate. Each character had to represent or embody some theory, for example Mao Tsetung for Marxism and Gandhi for pacifism. The characters had to discuss some environmental topic. So one possible dialogue would be between Mao and Gandhi discussing sustainable development. For marking purposes, this assignment was delightful. Every submission was different, and many students were creative in their choices. One student crafted a discussion between Thomas the Tank Engine and Percy the Small Engine. Percy was a Rastafarian and used rasta slang; footnotes explained unusual terms. When designing such unorthodox assignments, it can be challenging to explain to students exactly what is expected. I’ve found a fairly good method: with students’ permission, I post top assignments from previous years on my website. These show the format expected, for example a dialogue, and by demonstrating really good work can provide an inspiration to do well. Designing an assignment that is interesting to mark has a spin-off effect. It can change the mode of covering the content. In many cases, I’ve found it effective to let students investigate topics themselves rather than me delivering lectures. For the environmental politics class, we had an excellent textbook for the environmental topics, and I let the students (many of whom were doing an environmental science degree) look up topics like liberalism and Buddhism on their own. To some, this might seem to be abdicating a teacher’s responsibility to provide authoritative perspectives on content. For me, it is part of encouraging students to learn on their own, including finding relevant readings, understanding concepts and applying them to case studies. In making marking more enjoyable, I also hope to make learning more enjoyable for students. By getting students to do more work on their own and tackle unorthodox assignments, I hope to encourage student creativity and initiative. I remind myself that for the teacher to work hard often is not all that relevant to student learning. Students learn more when they work hard, and they are more likely to work hard on an interesting assignment. When the assignment is interesting to both students and the teacher, it is a win-win solution. 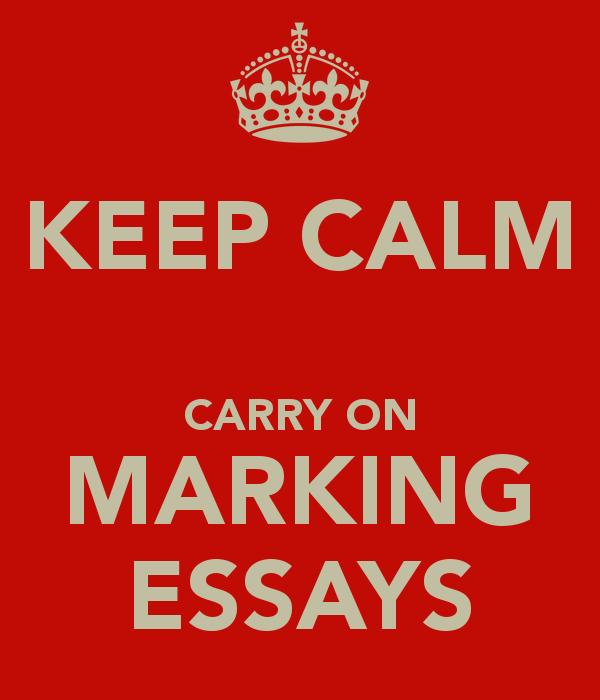 If marking can be made reasonably enjoyable, what about other dreaded tasks? What is dreaded depends on the person, and might be paperwork filing, housework, gardening, tax returns or practising the violin. Often it’s whatever you’re avoiding. Whatever the challenge, the same sorts of principles can be applied. Robert Boice, Advice for New Faculty Members: Nihil Nimus (Boston: Allyn & Bacon, 2000): on moderation as a philosophy for academic work. http://www.bmartin.cc/classes/: subject outlines and outstanding student work illustrating unusual types of assignments. Acknowledgements Thanks to Paula Arvela, Don Eldridge, Kathy Flynn and Anne Melano for helpful comments.